AmpliFi firmware version V2.8.9 has been released. 2.8.5 wasn’t great for me but this has restored much better throughput which seems back to normal. Now will just have to see if stability is back but it’s good to see AMPLIFI has responded quickly with a fix. Fingers crossed. Does this have clients based A-MSDU? Or still on Mesh point only MSDU. After the previous update 2.8.5 download speeds were horrible on the new iPhone xs max. For a second I thought it was the iPhone with the antenagate issue going on. After this new update 2.8.9...... big difference I am now getting my 120mbs+ from a Meshpoint and 200mbs close to the main router. This is comparing it to what I was getting before 25mbs-35mbs with the 5GHZ. Thanks for this update!!!!!! @chris-crowe-1 last time I asked I was told it's enabled for Mesh point only in the last RC firmware before this one. Also it's missing the R from K/V/R, the roaming option. @levente-kiss 2.8.5 was a freakin' disaster in my setup -- all kinds of connection problems. Thanks to those brave souls here who are willing to let ubnt have its way with your network. We'll all be looking for your experience. But for me, I'm sticking with 2.7.1. Ubnt hasn't demonstrated to me that a) it really cares when it screws up (poster children: systems that are behind a router, Teleport and the iOS app connecting off-network), b) it thoroughly tests these updates or c) it know how to make it easier -- read foolproof -- to fall back when they do release a problematic update. Bottom line, ubnt isn't there yet, IMO, in understanding how to manage updates to what are, really, "production" networks. Think how important your network is -- then think about the number of times you've had issues with these updates. Caution is the best approach. @alex-neihaus ubiquity can't control how apple runs their ecosystem, apple products are a closed source platform intended to work with their own hardware mainly airport routers please keep that in mind. I haven't had any of the speed issues that most people are experiencing, but then again I noticed it's mostly problems with apple devices, in which case ubiquity has to leasion with apple. Alot of the people complaining about the preformance issues remind me of people on small builders complaining about Asus routers WiFi driver issues with Evey firmware release, even though the drivers has been the same for over a year, though granted there is an problem. @levente-kiss I understand what you mean but the firmware is experimental and the device hasn't been on the market for years like other routers have, alot of people are seemingly forgetting the external factors that can affect preformance, also other routers have issues with apple devices on the Asus side you have to disable things to get apple devices to play nicely last I checked it was beam forwarding, here it's A-MSDU. In general on the Asus side we had to disable MU-MIMO and airtime fairness to prevent issues some people had I use the Merlin fork. At least here the devs are quick to respond, we have to just give them as much information as possible and be patient, im sure they are trying hard to fix it. Also apple has the responsibility to work with other providers to fix problems some of which are on their own devices WiFi drivers and are out of the control of the amplfi team, apple is a walled garden it's not open like Linux which is what Android is based off. 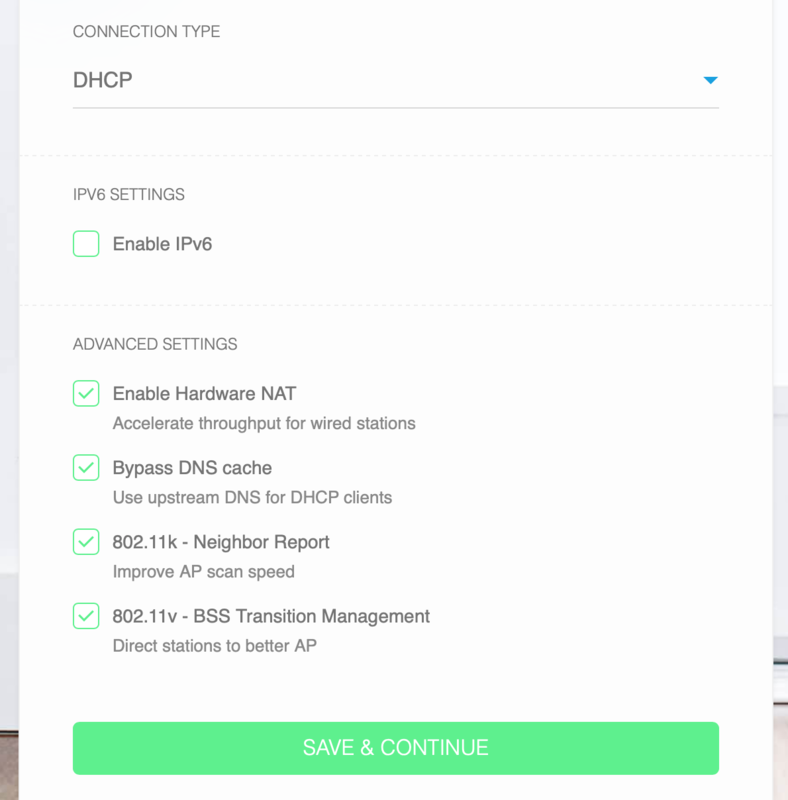 @ubnt-brett Was having a problem with constant disconnects but since I updated this morning it seems to be more stable. Keep my fingers crossed. I returned one router already. I was afraid that your routers were all defective. Thanks for the update. @edward-dolezal Correct, those are still in testing and available on RC versions. After contact with Support I had to activate the option “A-MSDU for wireless clients“ in 2.8.5 which solved the issue that I had regarding a terrible performance of a high quality videostream (20 Mb/s). In the new firmware (2.8.9) this option is not present anymore on the configpage. This means that the issue will return or has it been enabled bij default? Like to know before I upgrade. The experiences with the new firmware are certainly already better. The same goes for Apple devices. They also stay better in the 5Ghz environment and do not fall or switch back to 2.4Ghz. I have put the 2.4Ghz on band 11. The 5 Ghz on ''auto''. At various locations I have loaded the new firmware with online support. Also the connections with the Apple XS works well. I also experience problems when the router has not yet been updated with WiFi failure. The 2.7.1 I did not find the most amazing and strongest wifi performance between the mesh points. Failure to keep track of updates on Asus routers was exactly the same problem. Did you lag far behind with a firmware update at Asus then you also had uneven WiFi and sometimes downtime. My experience with the Amplifi in collaboration with Apple and wireless Bose speakers is significantly more stable than the Mesh options from Asus. Although I continue to find Asus a unique product, you can even upgrade your older router to Mesh. I do not consider Asus to be a question that makes a different platform and other integration options. I and my customers are very happy with the upgrade of the firmware, My thanks so far. So far everything is good, haven't noticed a difference between this and 2.8.5. I'm sure I'll see the improvements over time. Nice to see more frequent updates. I personally like smaller ones over a longer period than giant ones quarterly. @ubnt-brett Had to send back a teleport due to it not connecting with my amplifi because I use a strong wifi password with special characters will this fix the issue "Wi-Fi regulatory rules update" ? @david-gotelli is 2.8.9 as good as 2.6.3? I’m still mixed whether tomake the jump as I have no issues at the lower level?? Im just waiting for my feature requests to be implemented and for A-MSDU to be enabled for clients again, it gave me great performance. I'll be super happy once all LAN ports are usable in mesh point mode and the USB port work's.